Because livestock was central to the Kazakhs’ traditional lifestyle, most of their nomadic practices and customs relate in some way to livestock. 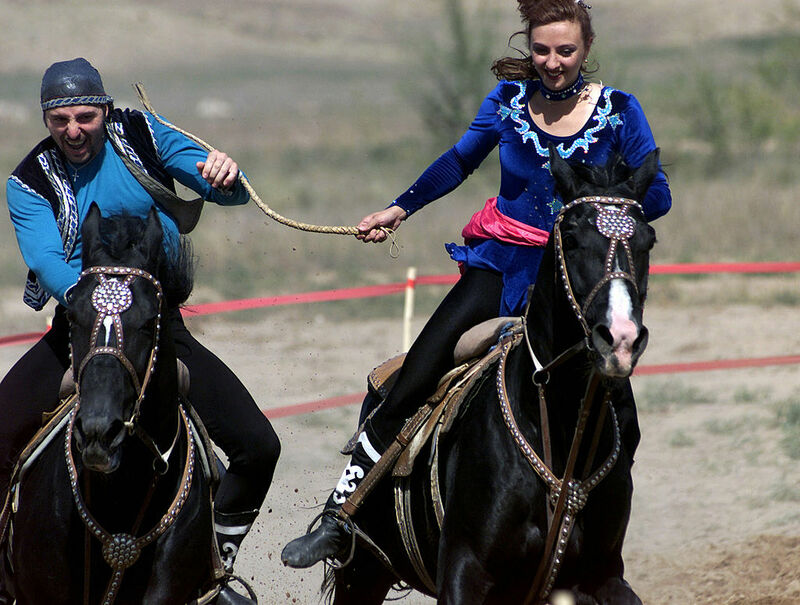 Kazakhs have historically been very passionate about horse-riding. In the national cuisine, livestock meat can be cooked in a variety of ways and is usually served with a wide assortment of traditional bread products. Refreshments often include black tea and traditional milk-derived drinks such as ayran, shubat and kymyz. A traditional Kazakh dinner involves a multitude of appetisers on the table, followed by a soup and one or two main courses such as pilaf and beshbarmak. They also drink their national beverage, which consists of fermented mare’s milk. Kazakhstan has developed itself as a formidable sports-force on the world arena in the following fields: bandy, boxing, chess, kickboxing, skiing, gymnastics, water polo, cycling, martial arts, heavy athletics, horse-riding, triathlon, track hurdles, sambo, Greco-Roman wrestling and billiards. 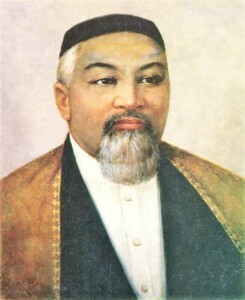 The following are all well-known Kazakhstani athletes and world-championship medalists: Bekzat Sattarkhanov, Vassiliy Jirov, Alexander Vinokourov, Bulat Jumadilov, Mukhtarkhan Dildabekov, Olga Shishigina, Andrey Kashechkin, Aliya Yussupova, Dmitriy Karpov, Darmen Sadvakasov, Yeldos Ikhsangaliyev, Askhat Zhitkeyev, Maxim Rakov, Aidar Kabimollayev, Yermakhan Ibraimov, Vladimir Smirnov, Ilya Ilin, Denis Ten. In December 2014, the outgoing head of Kazakhstan’s football federation, Adilbek Zhaksybekov, said Kazakhstan was planning bidding to host 2026 FIFA World Cup. Denis Ten won bronze at the 2014 Winter Olympics, and a silver and bronze medal at the 2013 World Figure Skating Championships and 2015 World Figure Skating Championships respectively. The most popular sport in Kazakhstan. The Football Federation of Kazakhstan (FFK; Kazakh: Қазақстанның Футбол Федерациясы) is the sport’s national governing body. The FFK organises the men’s, women’s and Futsal national teams. 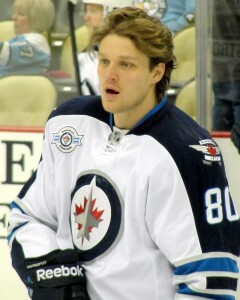 The Kazakhstani national ice hockey team has competed in ice hockey in the 1998 and 2006 Winter Olympics as well as in the 2006 Men’s World Ice Hockey Championships. Cycling is a popular activity throughout the country. Kazakhstan’s most famous cyclist is Alexander Vinokourov. Since independence in 1991, Kazakhstan’s boxers have won many medals, quickly moving up the all-time Olympic boxing medal table from last to a current 11th place. Three Kazakh boxers, Bakhtiyar Artayev, Vassiliy Jirov and Serik Sapiyev, have won the Val Barker Trophy, leaving Kazakhstan second (after the United States) in total number of victories. World IBF, WBO and IBO heavyweight champion Vladimir Klitschko was born in Kazakhstan in 1976. Additionally, undefeated middleweight Gennady Golovkin holds the WBA and IBO titles, as well as the WBC interim title. He is also currently on a streak of 20 consecutive knockout victories. The Kazakhstan national bandy team is among the best in the world and has won the bronze medal at the Bandy World Championship many times, including the last time in 2015. In the 2011 Bandy World Championship, the team reached extra time in the semifinal before their defeat by Sweden. The 2012 Championship was hosted by Kazakhstan. Again there was a dramatic semifinal against Sweden, as Kazakhstan was leading 5–3 with a few minutes remaining and finally losing in a penalty shoot-out. At the 2011 Asian Winter Games, the team won the gold medal. Bandy is being developed in 10 of the country’s 17 administrative divisions (8 of the 14 regions and 2 of the 3 cities which are situated inside of but are not part of regions). Akzhaiyk from Oral, however, is the only professional club. 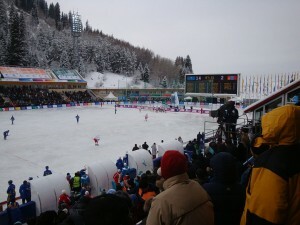 At the 2017 Winter Universiade in Almaty, bandy will feature as a demonstration sport for the first time. Zulfiya Chinshanlo won a gold medal at the 2012 London Olympics. Kazakhstan’s film industry is run through the state-owned Kazakhfilm studios based in Almaty. The studio has produced award winning movies such as Myn Bala, Harmony Lessons, and Shal. 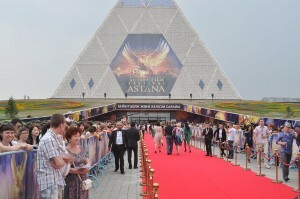 Kazakhstan is host of the International Astana Action Film Festival and the Eurasian Film Festival held annually. Hollywood director Timur Bekmambetov is from Kazakhstan and has become active in bridging Hollywood to the Kazakhstan film industry. Kazakhstan journalist Artur Platonov won Best Script for his documentary “Sold Souls” about Kazakhstan’s contribution to the struggle against terrorism at the 2013 Cannes Corporate Media and TV Awards. With support from the US Department of State’s Bureau for Democracy, Human Rights and Labor (DRL), the American Bar Association Rule of Law Initiative opened a media support centre in Almaty to bolster free expression and journalistic rights in Kazakhstan. День Победы (Den Pobedy) A holiday in the former Soviet Union carried overto present-day Kazakhstan and other former republics (Except Baltic countries).